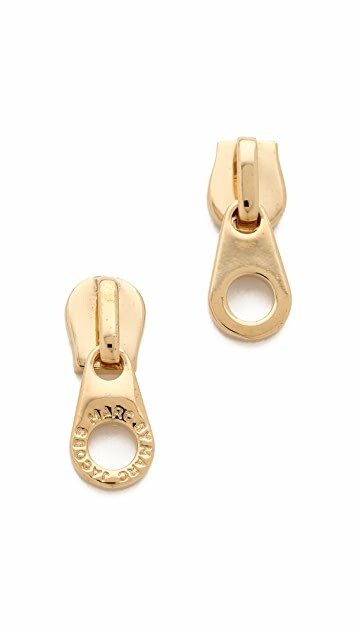 These gold-plated post earrings feature engraved logo lettering at the zipper pull detail. 1" long. 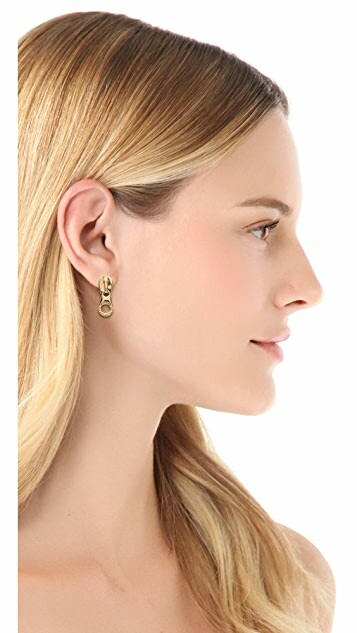 The materials used for these earrings are not so strong i.e. almost broken the first time I wore them. Mayby too big for me,but it doesnt matter. I do wish they were bigger. The photo does make it clear, though, that they're very small. I like the originality of them though, and am fond of them. This one delivers! Love it, so cute! Love these, I always get compliments.